So this is the flip side of success: Entrepreneur Johnny Earle claims competitors are selling thinly disguised knockoffs of his Johnny Cupcakes T-shirts. Earle, 26, of Hull, filed suit in U.S. District Court in Manhattan last month against three companies that allegedly have been selling imitations of his “Make Cupcakes Not War” design. The rival T-shirt says “Make Pastry Not War” and also bears a cupcake icon. Earle claims its theme of pacifism and pastry violates a copyright he holds on the design. The lawsuit names Adjmi Apparel, Run Athletics and Pastry, all of New York City, as defendants. The suit cites an advertisement in the Finish Line catalog for a “Make Pastry Not War” T-shirt selling for $30. Most Johnny Cupcakes T-shirts cost $35. 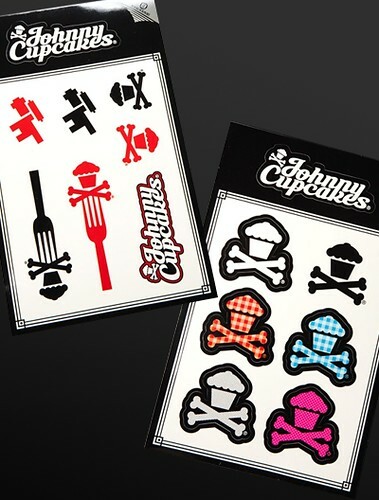 The suit alleges trademark infringement, stating that Johnny Cupcakes registered a trademark for the design in August 2007. It asks the court to authorize the destruction of the copycat shirts and seeks unspecified damages. A search of the Finish Line website doesn't show the t-shirt, and Amazon doesn't have it in stock either. 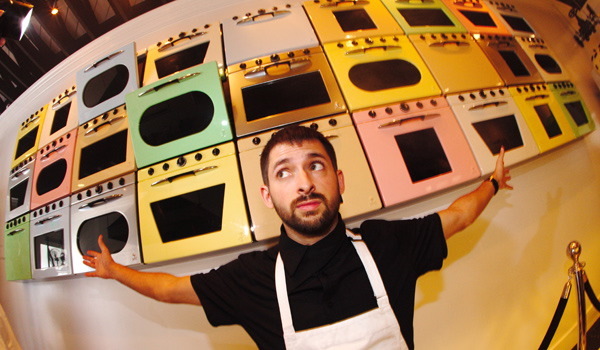 In other Johnny Cupcakes news, he was named one of 2008's Best Entrepreneurs 25 and under by BusinessWeek. That's pretty huge - congratulations! i'm sure rev. run will throw some hush money.... or the lawsuit will be on the next season's dvd's bonus! 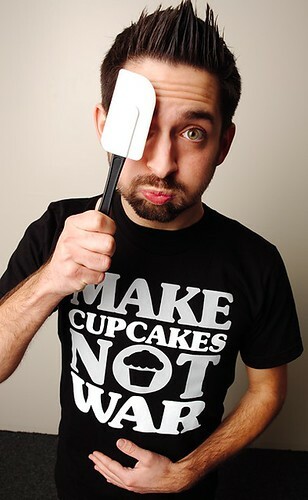 i love cupcakes but johnny cupcakes is stupid. he needs to get over himself and his overpriced merchandise. he has nerve suing these companies when all his ideas are just things that people have already come up with but he throws a cupcake into the mix and suddenly its SO COOL and revolutionary. Say it isn't so! No, Johnny, no!! Don't pull a Sprinkles and sue, it's so UNCOOL! Just do your thing and leave the copy-kitties to their own devices! Oh man it's Sprinkles all over again. I love Johnny Cupcakes but I am a bit disapointed in this law suit. Can't we all just get along. My opinion is a bit different. I agree with his actions. You work hard to build your company, your name, your brand and you protect it. The "defendants" couldn't think of a tagline of their own? There is a reason we register and copyright and trademark. I think anyone who has garnered the same kind of success as Johnny Cupcakes would be thinking differently were they in his shoes right now. Johnny Cupcakes might be a trend (been around too long already to be labeled trend) but... look at us on the cupcake blogs, doing the cupcake thing. He just took it to another level and success is his to claim. LAME. I hate frivolous lawsuits AND the douches who file them. This was the design in question. It is a blatant copy where someone else is making money off of Johnny Cupcakes design and idea. Having some of my designs ripped off and sold to Threadless I know first hand how it feels when others profit off your own ideas. Johnny is in a position where he can do something about it, and I wish him the best. Johnny Cupcakes has been around for 9 years so he has passed the beyond trend qualification. Pastry's should be creative and come up with their own ideas period. Everyone knows that we have trademarks and copyrights for a reason, and the people who thought of the "Make pastrys not war tshirt" know that they are wrong. Maybe if he had come up with something original then maybe, just maybe, it could be justified, but "Make ___ not war" has been around for ages! People have been inserting new words in the phrase "make love not war" since the sixties, so he certainly doesn't own it. Gimme' a break, a simple google search will show you lots of shirts with a variety of "make ___ not war" slogans.